International Women’s Day and Egypt’s 25 January Revolution: What Do the Women Stand to Gain From Their Struggle? On International Women’s Day, Egyptian women contemplate being overlooked in the formation of a post-Mubarak future. Marwa Sharaf el-Din, an Egyptian law PhD candidate at Oxford University, will be in Tahrir Square this afternoon to perform Zajal, a popular traditional form of Arabic poetry. “Do I have to be broken to be an oriental woman; do I have to always say ‘yes’ to be an Egyptian woman?” her satirical poem reads. Music bands and other performers will be showcasing their talents in front of thousands of people who will march to Tahrir Square to mark International Women’s Day, which takes place every year on March 8. 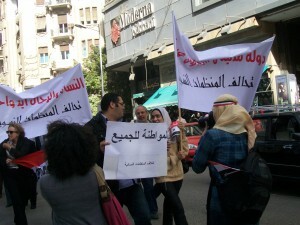 “Unlike the confrontational protests we had… to topple the regime, this protest is more of a celebratory one. We want to celebrate the achievements we have accomplished so far in Egypt,” Sharaf-el Din says. The day before was a very disappointing one for women and women’s rights activists across Egypt – when just one woman was included into the newly sworn-in cabinet. Essam Sharaf, Egypt’s new prime minister, has instead announced the creation of committee that deals with the advancement of women, formed under the supervision of the cabinet. “I appreciate the prime minister’s acknowledgement of women’s role but I do not agree that this is the solution. I highly doubt this newly created committee will have any power,” says Sharaf-el Din. Aalam Wassef, an online activist who has long campaigned for women’s rights and says this new arrangement is “condescending to women”. Laila Mustafa, a veiled woman in her 40s, came across Wassef on Tahrir Square yesterday evening and offered help. She took 1,000 banners to distribute them among her neighbours in Boulaq el Dakroor, one of the poorest neighbourhoods in Cairo. “I finished distributing all the banners and today I am coming to the square. I do not want to make demands for women. I just want to show presence. Throughout the uprising, women were at the forefront of the street protests. 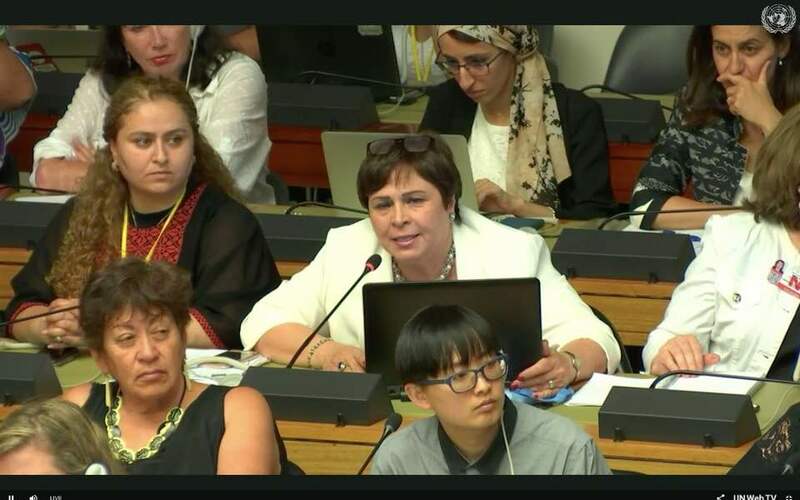 However, they have largely kept quiet about their gender rights in a country where they have faced rampant discrimination and received little legal protection against widespread violence and sexual abuse. They were careful not to display any intention of wanting to advance one group’s rights over those of another. “We did not speak of our gender rights during these protests because it was not the right time. We spoke for the political and social rights of all Egyptians. If we were to campaign for our rights as women in parallel with the revolution’s national goal, that would have been called political opportunism,” says Hala Kamal, an assistant professor at Cairo University and a member of the Women in Memory Forum. But only days into the post-Mubarak era, many women’s rights activists have begun to feel suspicious that the national umbrella they rallied under, whose slogan was democracy, equality and freedom for all Egyptians, may be leaving them out. Their disillusionment began when no women were selected by the military council to be among the 10-member constitutional committee responsible for making constitutional revisions. Another disheartening setback that raises questions about the future of women’s rights in Egypt is the return of sexual harassment to the streets. While the protests have been hailed for being harassment-free in a society infamous for widespread sexual harassment, Engy Gozlan, who works with HarassMap, an initiative that enables women to report sexual harassment via SMS, says sexual harassment incidents have returned to their pre-protests level. It is estimated that more than 80 per cent of Egyptian women have encountered sexual harassment. Fears that the condition of Egyptian women could return to ‘normal’ after the uprising appear legitimate. After all, there have been several cases in history of uprisings that prove that “women can be used in a revolution and then told ‘thank you, you can go back home,'” Wassef says. Thus while the widespread participation of Egyptian women in the uprising can be considered “one more step towards women’s empowerment, it should not hold expectations,” says Marina Ottaway, the director of Carnegie Endowment’s Middle East programme. Moreover, Joost Hiltermann, who wrote extensively about Palestinian women’s movements during the first Intifada which begun in the late 1980s, observed in 1991 that “despite women’s activism, their social and political position in society has essentially remained the same”. 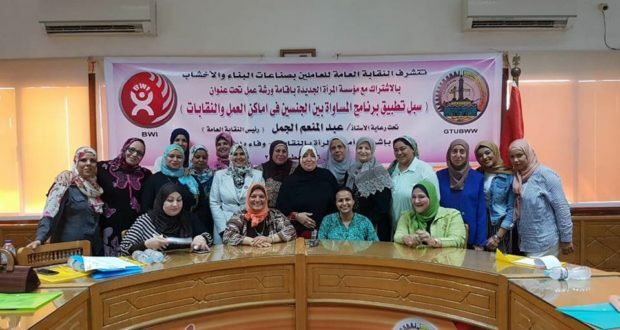 From this perspective, Amal Abdel Hadi of the New Women Association in Egypt says that the recent marginalisation of Egyptian women following the uprising is an embodiment of a patriarchal society that is difficult to change. 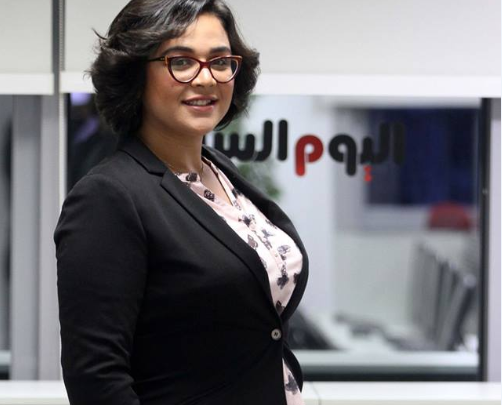 Meanwhile, women’s rights activist Hala Kamal is calling on people to look through the lens of Egypt’s own history and reflect on the 1919 Egyptian uprising, which was characterised by the wide and unusual participation of women. “The outcome of that uprising was incredible progress for women. It led to the establishment of the Egyptian Women Union in the 1920s and the pressure of new women movements increased through out the 1930s and 40s. She also argues that women’s participation in building the future of Egypt has already started widening. On the no-woman constitutional committee, Kamal believes it does not provide adequate insight into the future of women’s participation. She says that women’s rights organisations should instead shift their focus to gaining representation in the upcoming general committees that will be formed in the coming weeks to change the whole constitution. “This presents an opportunity for women to be part of devising new gender-sensitive legislation,” Engy Gozlan says. With the dust of the uprising still unsettled, women’s rights activists are well aware that, over the coming weeks, they will have to seize the moment and fight the battle for representation one institution at a time. Their success or failure may set the course for how the women’s rights scene will look like over the next decade.